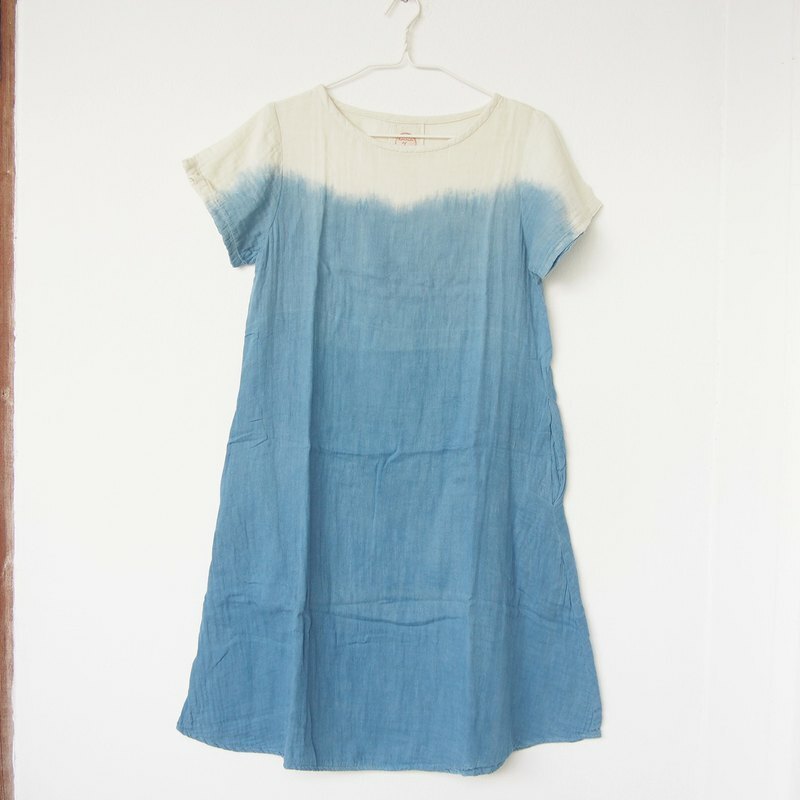 Indigo shade dress / round neck with 2 pockets > dip dye design > natural dyed from indigo > made of 100% cotton > round-neck with 2 hand pockets > relax-fitting / easy wear for your everyday > very soft / comfortable one size: shoulder: 14 inch chest: 36 inch hip: 40 inch length: 37 inch * I use all natural material and dye every piece one by one in the small studio in Chiang Mai. * Please note that each one of product might slightly not exactly the same. * I try my best taking pictures. Please note that the color may vary from screen to screen.